Sometimes the shelter can be a stressful environment for some of our dogs and cats. Here at the MCSPCA we do our absolute best to try and make every animal’s stay as comfortable as possible. While fostering a animal, you would be helping to reduce the number of dogs and cats in our shelter, therefore allowing us to save even more lives! Foster homes also provide us with important information about the animal’s personality so they we can place them quickly and with their best match. We have had so many success stories already with the help of foster families and we hope to continue to expand! While fostering a dog or cat your will have everything you need to care for your animal. We provide the food, supplies, medications (if necessary) All you provide is a loving home! 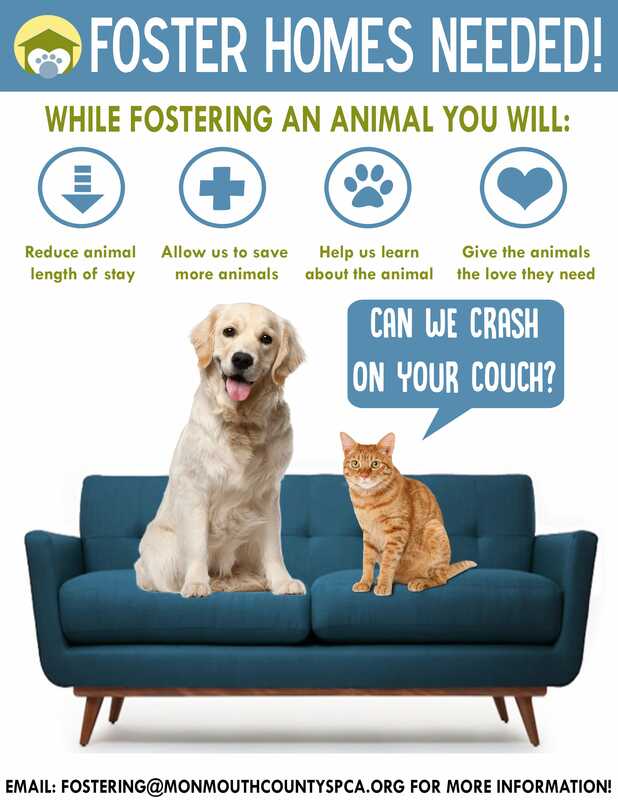 We will continue to promote your foster pet while they are in your home so that we can find them a permanent home! in supermarkets, coffee shops, libraries etc! !